This is an Icelandic name. The last name is patronymic, not a family name; this person is referred to by the given name Vigdís. Vigdís Finnbogadóttir (Icelandic: [ˈvɪɣtis ˈfɪn.pɔɣaˌtoʊhtɪr] ( listen ); born 15 April 1930) served as the fourth President of Iceland from 1 August 1980 to 1 August 1996. She was the world's first democratically directly elected female president. With a presidency of exactly sixteen years, she also remains the longest-serving elected female head of state of any country to date. Currently, she is a UNESCO Goodwill Ambassador, and a Member of the Club of Madrid. She is also to-date Iceland's only female president. 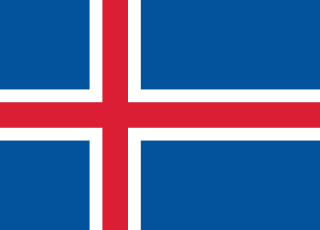 The President of Iceland is Iceland's elected head of state. The incumbent is Guðni Thorlacius Jóhannesson, who is now in his first term as president, elected in 2016. UNESCO Goodwill Ambassadors are celebrity advocates of UNESCO who use their talent or fame to spread the UNESCO ideals, especially attracting media attention. Other specialized categories of advocate include UNESCO Artist for Peace, UNESCO Champion for Sport and UNESCO Special Envoy. The Club de Madrid is an independent non-profit organization created to promote democracy and change in the international community. Composed of 95 regular members, 64 of whom are former presidents and 39 of whom are former prime ministers from 65 countries, the Club de Madrid is the world's largest forum of former heads of state and government. Reykjavík is the capital and largest city of Iceland. It is located in southwestern Iceland, on the southern shore of Faxa Bay. Its latitude is 64°08' N, making it the world's northernmost capital of a sovereign state. With a population of around 128,793, it is the heart of Iceland's cultural, economic and governmental activity, and is a popular tourist destination. The University of Iceland is a public research university in Reykjavík, Iceland and the country's oldest and largest institution of higher education. Founded in 1911, it has grown steadily from a small civil servants' school to a modern comprehensive university, providing instruction for about 14,000 students in twenty-five faculties. Teaching and research is conducted in social sciences, humanities, law, medicine, natural sciences, engineering and teacher education. It has a campus concentrated around Suðurgata street in central Reykjavík, with additional facilities located in nearby areas as well as in the countryside. Vigdís participated in the 1960s and 1970s in numerous rallies held to protest against the U.S. military presence in Iceland (and in particular at Keflavík). Every year hundreds—sometimes thousands—walked the 50-km road to Keflavík and chanted "Ísland úr NATO, herinn burt" (literally: Iceland out of NATO, the military away). Keflavík Airport, also known as Reykjavík–Keflavík Airport, is the largest airport in Iceland and the country's main hub for international transportation. 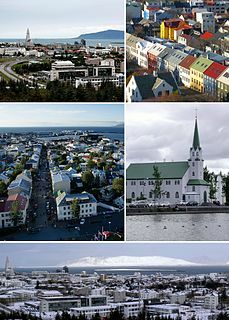 The airport is 1.7 nautical miles west of Keflavík and 50 km (31 mi) southwest of Reykjavík. The airport has three runways, two of which are in use, and the airport area is about 25 km2 (9.7 sq mi). Most international journeys to or from Iceland pass through this airport. Menntaskólinn í Reykjavík is the oldest junior college in Reykjavík, Iceland. Menntaskólinn við Hamrahlíð is a public gymnasium located in Hlíðahverfi, Reykjavík, Iceland. The school was founded in 1966 by the Icelandic Ministry of Education; with the first graduation occurring in 1970. The school's first rector was Guðmundur Arnlaugsson. Ríkisútvarpið (RÚV) is Iceland's national public-service broadcasting organization. She was the Artistic Director of the Reykjavík Theatre Company (Leikfélag Reykjavíkur), later the City Theatre from 1972 to 1980. From 1976 to 1980, she was a member of the Advisory Committee on Cultural Affairs in the Nordic countries. In 1996, she became founding chair of the Council of Women World Leaders at the John F. Kennedy School of Government at Harvard University. Two years later she was appointed president of the United Nations Educational, Scientific and Cultural Organization World Commission on the Ethics of Scientific Knowledge and Technology. The Council of Women World Leaders, created in 1996, is a network of 75 current and former Presidents and Prime Ministers. It is the only organization in the world dedicated to women heads of state and government. 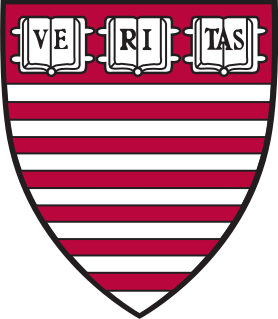 The John F. Kennedy School of Government at Harvard University is a public policy and public administration school, of Harvard University in Cambridge, Massachusetts, United States. The school offers master's degrees in public policy, public administration, and international development, grants several doctoral degrees, and many executive education programs. It conducts research in subjects relating to politics, government, international affairs, and economics. Since 1970 the school has graduated 17 heads of state, the most of any educational institution. The Icelandic women's movement has a long history. During the International Women's Year in 1975 Icelandic women attracted great attention when they organized a general strike to show how important women's undervalued work was. 90 per cent of the Icelandic women went on strike. And at the presidential election in 1980 the women's movement focused on electing a woman. After much persuasion Vigdís accepted to run against three male candidates. She was the first woman in the world to be elected as head of state in a democratic election, despite being a divorced single mother. She was narrowly elected, with 33.6 percent of the national vote, while her nearest rival got 32.1 percent. She became very popular and was subsequently reelected three times, unopposed in 1984, with 94.6 percent of the votes against another woman in 1988 and unopposed in 1992. In 1996 she decided not to run for reelection. Since 1998, Vigdís Finnbogadóttir has been UNESCO’s Goodwill Ambassador for languages. She is also a member of the Fondation Chirac's honour committee,  ever since the foundation was launched in 2008 by former French president Jacques Chirac in order to promote world peace. Vigdís is a member of the Club of Madrid,  an independent non-profit organization composed of 81 democratic former Presidents and Prime Ministers from 57 different countries. Tarja Kaarina Halonen is a Finnish politician who served as the 11th President of Finland, and the first woman to hold the position, from 2000 to 2012. She first rose to prominence as a lawyer with the Central Organisation of Finnish Trade Unions (SAK), and as the Prime Minister's parliamentary secretary (1974-1975) and a member of the City Council of Helsinki (1977-1996). Halonen was a Social Democratic Party member of parliament from 1979 until her election to the presidency in 2000. She also served as a minister at the Ministry of Social Affairs and Health from 1987 to 1990, as Minister of Justice from 1990 to 1991, and as Minister for Foreign Affairs from 1995 to 2000. The Order of the Falcon is the only Order of Chivalry of Iceland, founded by King Christian X of Denmark and Iceland on 3 July 1921. The award is awarded for merit for Iceland and humanity and has five degrees. Nowadays, appointments are made on the nomination of the President of Iceland and that of a "five-member council". Vaira Vīķe-Freiberga is a Latvian politician who served as the sixth President of Latvia and the first female President of Latvia. She was elected President of Latvia in 1999 and re-elected for the second term in 2003. Jorge Fernando Branco de Sampaio, GColTE, GCIH, GColL is a Portuguese lawyer and politician who was the 18th President of Portugal from 1996 to 2006. Mário Alberto Nobre Lopes Soares, GColTE, GCC, GColL was a Portuguese politician who served as Prime Minister of Portugal from 1976 to 1978 and from 1983 to 1985, and subsequently as the 17th President of Portugal from 1986 to 1996. Milan Kučan is a Slovenian politician who was the first President of Slovenia from 1991 to 2002. The Order of the Elephant is a Danish order of chivalry and is Denmark's highest-ranked honour. It has origins in the 15th century, but has officially existed since 1693, and since the establishment of constitutional monarchy in 1849, is now almost exclusively used to honour royalty and heads of state. Presidential elections were held in Iceland on 29 June 1980. The result was a victory for Vigdís Finnbogadóttir, who received 33.8% of the vote. She became the world's first democratically elected female President. Katrín Jakobsdóttir is an Icelandic politician serving as the 28th and current Prime Minister of Iceland since 2017. She is the member of the Althing for the Reykjavík North constituency since 2007. She became deputy chairperson of the Left-Green Movement in 2003 and has been their chairperson since 2013. Katrín was Iceland's Minister of Education, Science and Culture and of Nordic Co-operation from 2 February 2009 to 23 May 2013. She is Iceland's second female prime minister after Jóhanna Sigurðardóttir. Auður Auðuns was an Icelandic lawyer and politician from the Independence Party. She set several records as she became the first Icelandic woman to obtain a law degree, the first female Mayor of Reykjavik and the first female cabinet member in Iceland when she became Minister of Justice and Church in the short-lived cabinet of Jóhann Hafstein 1970-71. Guðrún P. Helgadóttir was an Icelandic writer, poet, scholar and educator and is widely recognized in Iceland. Sigurður Pálsson was an Icelandic poet, author and translator. He worked primarily in cinema and television, theatre, and university teaching. He is particularly noted, among Icelandic writers, for his close links with France. On 24 October 1975, Icelandic women went on strike for the day to "demonstrate the indispensable work of women for Iceland’s economy and society" and to "protest wage discrepancy and unfair employment practices". It was then publicized domestically as Women's Day Off . Participants, led by women’s organizations, did not go to their paid jobs and did not do any housework or child-rearing for the whole day. Ninety percent of Iceland’s female population participated in the strike. Iceland's parliament passed a law guaranteeing equal pay the following year. Guðni Thorlacius Jóhannesson is an Icelandic politician serving as the 6th and current President of Iceland since 2016. He took office after receiving the largest number of votes in the 2016 election, 71,356 (39.1%). A historian, he was a docent at the University of Iceland until his election. His field of research is modern Icelandic history, and he has published a number of works on the Cod Wars, the 2008–2011 Icelandic financial crisis and the Icelandic presidency, among other topics. Women in Iceland generally enjoy good gender equality. As of 2018, 88% of working-age women are employed, 65% of students attending university are female, and 41% of members of parliament are women. Nevertheless, women still earn about 14% less than men. Iceland has the world's highest proportion of women in the labour market, significant child care allocations for working women, and three months' parental leave for both men and women. Helga Vala Helgadóttir is an Icelandic politician of the Social Democratic Alliance (Samfylkingin). She is a member of the Althing, elected in the Icelandic parliamentary election, 2017 on 28 October 2017, representing the constituency of Reykjavík North. ↑ "Club of Madrid: Vigdís Finnbogadóttir". Club of Madrid. 2003. Archived from the original on 12 August 2017. Retrieved 19 July 2010. ↑ "Club of Madrid: Full Members". Club of Madrid. 2003. Archived from the original on 10 October 2007. Retrieved 30 March 2008. ↑ "Finnbogi Rútur Þorvaldsson". geni_family_tree. Retrieved 2018-05-09. 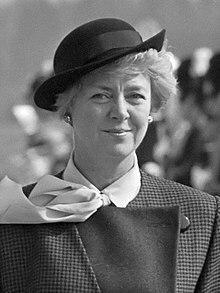 1 2 3 "First female head of state, Vigdís Finnbogadóttir, elected 35 years ago today". Iceland Magazine . 2015-06-29. Retrieved 2016-06-26. ↑ "Cadenza Musicians Directory" . Retrieved 2 December 2008. ↑ "Honor Committee" . Retrieved 22 May 2018. ↑ "Queen Iceland" . Retrieved 22 May 2018. ↑ "President Vigdis blir æresdoktor ved UNIT". Aftenposten . 1993. Retrieved 2 August 2010. ↑ The Club of Madrid is an independent non-profit organization composed of 81 democratic former Presidents and Prime Ministers from 57 different countries. It constitutes the world's largest forum of former Heads of State and Government, who have come together to respond to a growing demand for support among leaders in democratic leadership, governance, crisis and post-crisis situations. All lines of work share the common goal of building functional and inclusive societies, in which the leadership experience of the members is most valuable. Wikimedia Commons has media related to Vigdís Finnbogadóttir .